We want to Mass Unwrap the UK! Are you in? After the huge success of the 2018 Earth Day Mass Unwrap in Cornwall we are looking for communities across the whole of the UK to come together to leave unnecessary plastic packaging at the tills. 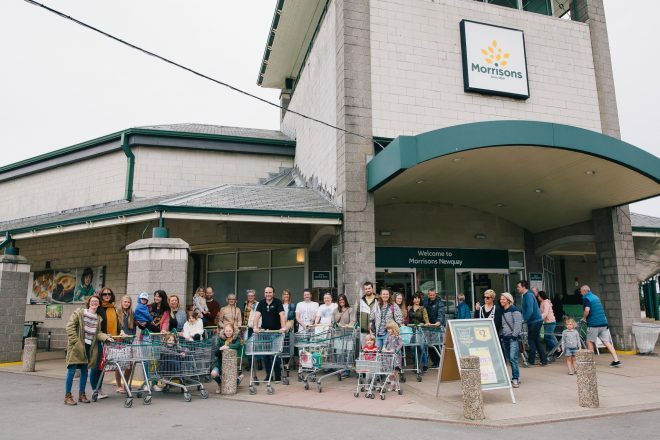 Supermarkets form a big part of our communities and the way that many people buy food. This non-confrontational and family friendly event offers a unique opportunity for us as consumers to be able to raise awareness of excess packaging and the need for change. 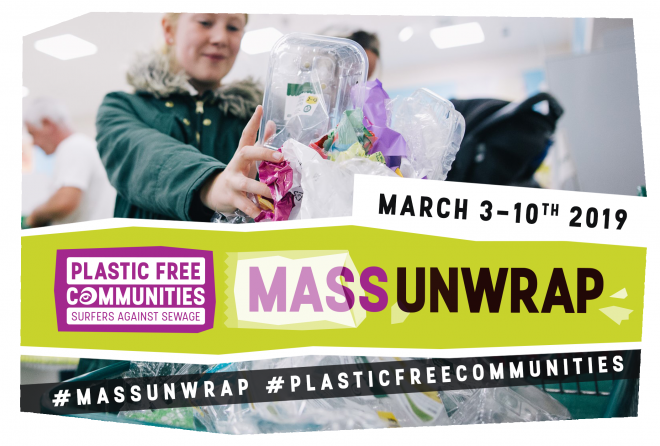 Several of our Plastic Free Communities have already held Mass Unwraps to support the work they are doing where they live to reduce the impact of single-use plastic. In North Devon recently 382 shoppers unwrapped a whopping 3,665 items of unnecessary plastic packaging, of which only ten percent was recyclable. That was just in a two-hour slot! Imagine how much they would have gathered in a day, a week, a year? As an organiser – set up your own Mass Unwrap event with our step by step guide. Email [email protected] to get your pack. We’re creating the Plastic Free Community network to free where we live from single-use. Together we’re tackling avoidable single-use plastic, from the beach all the way back to the brands and businesses who create it. Wherever you live, whether you’re on shore or inland, urban or rural, high-tide or high-rise, we’re uniting communities in the fight against single-use plastics. It’s not about removing all plastic from our lives. It’s about kicking our addiction to avoidable single-use plastic, and changing the system that produces it. Join us and let’s free where we live from single-use, one plastic bottle at a time.